True coffee connoisseurs aren’t afraid to learn more about their favorite beverage. If you love coffee and want to step outside of the coffee shop, then you’re in the right place. 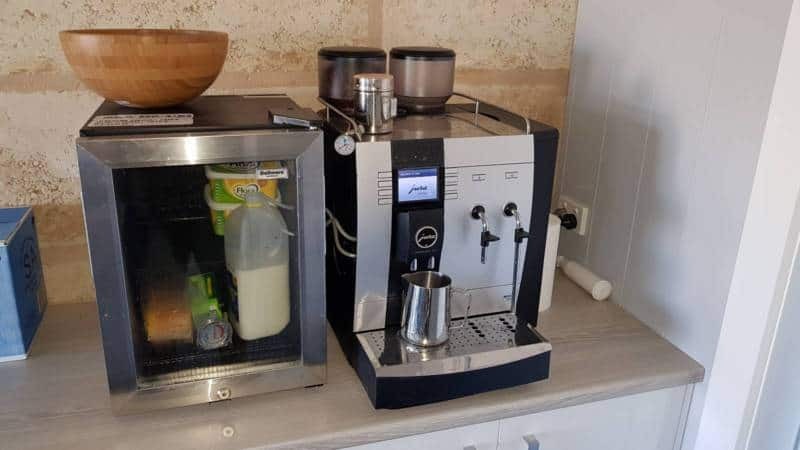 Here on PickandBrew, we’ve conducted reviews on many different types of coffee machines, from espresso makers to single cup machines, all designed to work in your home. But we do more than that; we discuss how to invent your own blends, how to understand the differences between a latte and a mocha, and even which bean grinders are the very best. If you’re looking to become a home brewing coffee expert, then look no further than PickandBrew. Why Do We Favor Making Coffee At Home? To put it simply – coffee shops are expensive. At-home coffee makers are good investments that save you money over time. Sure, you’ll need to buy your own beans and understand how to work your coffee machine, but many of them are not that complicated. Home coffee machines are available at many different price points, and the options can be overwhelming. Even the most seasoned coffee aficionado may not know where to turn when they’re confronted with an aisle full of coffee makers. Picking the best one can take time, which is where we come in. We want our readers to be fully informed coffee drinkers who know the ins and outs of making coffee in their kitchens. Unless you live in a tropical climate, you won’t be able actually to grow your own beans. However, you can buy them whole and come up with your very own coffee blends. There are few things better than offering your neighbors a cup of coffee made with your own personal blend of beans. Blending and grinding beans are just one of the many things that we discuss here on Pick and Brew. We’ve tested out a number of coffee bean grinders and have reviewed some of the top ones. Since you’ll need a different type of grind (coarse or fine) for each variety of coffee that you make, you’ll need to know which ones to use. When it comes to blending, you’ll need to know a lot about the beans themselves. Many fall into the categories of dark roast, medium roast, and light roast. You can mix and match your beans, putting some light, medium, and dark ones into the same blend. However, you do need to know the flavor profiles of each type, as well as what it means when the label has a country of origin. Yes, coffee beans grown in different places each have their own flavor profiles as well. This sounds like a complicated process, but we’ve demystified it somewhat here. We can help you determine the best ones for the types of coffee that you want to make. Also, with your coffee blending guide, you’ll learn which beans match your favorite taste profiles. You might already know that you prefer a dark roast to a light one, but do you know why? We can help with that. Thanks to the popularity of coffee shops, many people know about drinks like a macchiato and a latte. But how many actually know what those are? Sure, they might order them and drink the beverage, but can they explain the difference between them? We can, and are happy to share our knowledge with you. Here at Pick and Brew, we not only review coffee makers and bean grinders – but we also share our wisdom. We know the difference between these beverages and share that information with our readers. You’ll learn a lot about coffee in general on our site! From drip coffee to espresso, we’ve discussed them all and then some. Have you ever heard of a Moka Pot? Or wondered what the difference is between an espresso machine and a drip coffee maker? We answer some of those questions here, amongst our many reviews. We’ve created lists by type of machine, as well as individual reviews of many of them, for those who want more information. You’ll never feel overwhelmed by choice again. How do we conduct our reviews? Well, we go over each machine and develop a list of pros and cons. Some are excellent pieces of machinery at great prices, while others are worth every penny that you’ll pay for them. If you’re wondering which machine will best meet your needs, then peruse the reviews and informative articles on our site. We’ll help you make that decision. It won’t be easy since there are so many to choose from, but it’s not an impossible task. Coffee is about more than brewing that perfect cup. It’s also about caring for your coffee maker. Do you know the best way to clean your machine? Or how big a coffee scoop should be? If you truly want to make a great cup of home-brewed coffee, then you need to know these details. We help you understand exactly how many scoops of ground beans go into each machine, depending on the type of coffee that you’re making. We also debunk some coffee machine cleaning methods, while explaining the best steps in the correct process. Cleaning your coffee machine does need to be done on a regular basis. Otherwise, ground coffee sludge and hard water residue can build up and affect the taste. You always want the best tasting cup of coffee, and a dirty machine can prevent that from happening. Finally, we want to welcome you to Pick and Brew. Hopefully, this overview has convinced you that you’re in the right place. Coffee is something that should be fun to learn about. We hope that we’ve accomplished that task. Explore our site, check out our reviews, and read over some of the informative articles that we’ve written. You’ll find that there is far more to coffee than just a cup brewed in a drip machine!